NOTE: In March I posted Jocelyn Crowley’s excellent book, Gray Divorce. Here’s the link to my review: https://wp.me/p82Ooe-5Hu. That book was about my generation (and before) of women and men over 50 who divorced. This book is about our female offspring and their struggle for flex-time, day care, etc. as they enter or re-enter the work force. Except for the 9 to 5 picture, which is an ad for the movie, the photos below of moms with kids from the Internet do not directly address the issues in the book, but with Mother’s Day this month, I wanted to use every opportunity to depict moms with their children. In the 1980 comedy 9 to 5, Lily Tomlin, Jane Fonda, and Dolly Parton hog-tie their “sexist, lying, egotistical, hypocritical bigot” of a boss while waiting for the warehouse invoices to prove he is stealing from the company. During this time, his wife is on a trip; his assistant is sent to a program to study French for make-believe expectations in Europe (under the false okay of their boss by the three women), and the office is transformed to a more humane work space. With the three women now in charge, major changes are the norm. The office is redecorated in bright colors with couches, an in-house day care center is established, flowers and pictures are allowed on the workers’ desks, and the three women introduce flex-time or job-sharing, so that workers can work part-time, sharing a position with another employee that suits each of their schedules. First, the author describes workplace flexibility policies: 1) flexible work arrangements; 2) time-off options; and 3) career exit maintenance, and reentry pathways. With many notes and resources, Crowley notes that absenteeism decreases and loyalty increases when workers, especially mothers with school-aged young children, can have quality time for both their job and their families. 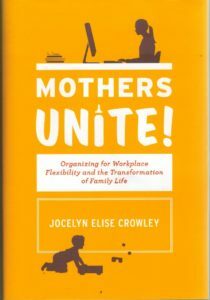 By focusing on five women’s groups in the US, she hopes to show us that while they have somewhat different, but sometimes overlapping goals, changes in the workplace can happen, because “mothers organizing with one another on behalf of shared goals” has a rich history across the American political landscape” (p. 9). The five groups that Professor Crowley researched and studied are: Mothers of preschoolers (MOPS), Mocha Moms (mothers of color), Mothers & More, the National Association of Mothers’ Center, and Moms Rising. We learn about each group, their goals, their leadership roles, and how they have grown and changed over the years. Through the voices of women interviewed and the use of charts that show the percentages of women in each group advocating (or not) for changes in the work place, such as day care centers at their jobs, time off for family illness, as well as flex-time, we become more aware of the needs of women in the workplace more clearly. She tackles many topics in Mothers Unite! as the Table of Contents indicates, such as Power in Numbers, Do Mommy Wars Attitudes Prevent Organizing?, Workplace Flexibility Options, and the professor’s own Research Methodology. 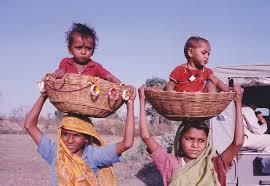 We begin to see a clearer picture of what mothers are working for in each of these groups. This eye-opening, heavily- researched book with the voices of the women, is a noble effort to explain the importance of these issues by women. 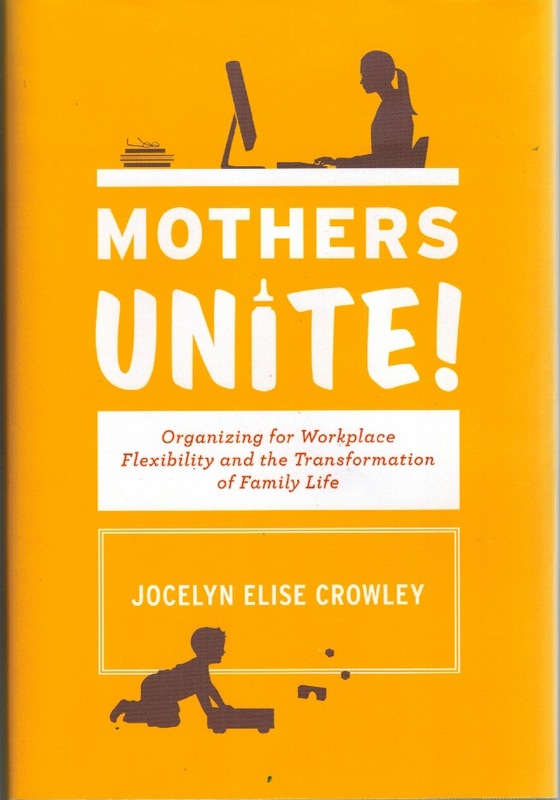 Also, it demonstrates how Professor Crowley points out the many ways that these groups, if unified, could work toward common goals in the political field to bring workplace flexibility and other needs of working mothers (and their spouses) to fruition. I applaud the efforts of the author to demonstrate clearly and with hard facts how this could come about, although in her conclusion she admits that …”Transforming public policy to move workplace flexibility forward will not by any means be easy” (p. 191). According to her argument, which is counter to the current opinion that such transformation won’t work because mothers are too different from one another, she feels her analysis shows her plan will work. The focus on her book is “unity” and she feels the mothers’ groups she has included in her book do have the potential to turn their needs into a movement, provided that new policy ideas and leadership that lead to change “can be effectively harnessed” (p. 191). After reading this book, I am convinced workplace flexibility can happen. The book leaves us with the hope that, as one reviewer (Judith Warner, author of Perfect Madness: Motherhood in the Age of Anxiety) on the back cover indicates that: “the prospect of diverse mothers’ groups coming together to work for a better future” is a hopeful one. With research writers such as Professor Jocelyn Elise Crowley tackling such important issues, I am very hopeful! And then every day can be Mother’s Day! This entry was posted on Saturday, May 12th, 2018 at 10:19 am	and is filed under Articles on Divorce/Marriage, Home Page, Reviews. You can follow any responses to this entry through the RSS 2.0 feed. You can skip to the end and leave a response. Pinging is currently not allowed.